Dallas, Texas, United States of America – April 8th, 2014 –. J Ware is an exciting, up-and-coming hip-hop lyricist hailing from Dallas, TX who has been rapping since 2006, beginning with a trio known as Dub-T, breaking out into a solo career in 2009. Since then, he’s been busy, releasing A Star In The Makin’: Volume 1 (April 2010), followed by Lyrical in March 2012 and Volume 2: Broke Issues in November of the same year. Fans should keep their ears to the ground for the upcoming release of a single, The Connect, feat. Perm. There are also plans for an EP coming out later in 2014. In June 2013 he played live at the Apache Club in Atlanta, with plans to tour more, both locally in Texas and further afield in coming years. J Ware has big plans, stating that “When I wrote Lyrical [in 2012], I wanted to show people in the industry that I have directional flow – I’m not just about punchline after punchline with relentless effort and hustle. I work constantly on perfecting each and every line, improving all the time”. It’s this kind of attitude, along with a consistent stream of releases that is set to propel J Ware upwards and onwards. Along with solid collaborations and a growing fan base, it won’t take long for this hip-hop lyricist to reach the top of his game. 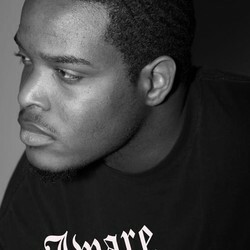 J Ware began his career as a hip-hop artist in 2006. He also dabbles in R&B from time to time. As a southerner, he loves to mix lyricism with feel-good vibes. He also throws some east coast beat influences into the mix. For more information, visit J Ware’s website today.